A country breeze is blowing through fashion - it’s time to take to the hills! Slip into a wrap dress with a hint of rural charm and embrace the peasant look with a small round raffia basket or bamboo half-moon bag. Happiness is a stroll in the countryside... and looking good in the process! It’s hot, very hot. The summer heatwave is turning us all a little crazy. Not murderously crazy, fortunately, despite the fact that we’re drawing inspiration from the exquisite lightness of Isabelle Adjani’s wardrobe in 80s film “One Deadly Summer”. We want to feel free-flowing, ethereal fabrics against our skin that caress without smothering. This season marks the big comeback of the dress, preferably long with an apron or shirt cut. Large pockets, wooden buttons and ruffle sleeves lend a modern twist to these outfits reminiscent of Little House on the Prairie, whose vintage esthetic has been popularized by contemporary brands including the very Parisian Rouje. Launched by Jeanne Damas, the nonchalant style icon of the modern-day "guinguette" look, the brand has made post-war fashion its own with quaint countryside prints that give every piece an ultra-desirable quality . Which shoes will show me the way to countryside bliss? P To channel a Jeanne Damas look rather than a Laura Ingalls Wilder one, leave the lace-up boots in your closet and slip into a pair of Vanessa Wu Mary Janes or mules. A dash of countryside charm can turn simple romantic style into a playful fashion statement. A lace dress works a treat with Vanessa Wu studded flat sandals, and a wrap dress is the perfect partner for uber-feminine gold gladiator sandals or - for a very different effect - chunky-soled hybrid sneakers from the Vanessa Wu Vesper collection. Last but not least, a long floaty dress isn’t complete without a pair of ethnic flat sandals. This summer, your feet are destined for some fresh country air. So unleash your countryside charm on the prairies of Walnut Grove, the Pyrenean hills or anywhere else that takes your fancy! 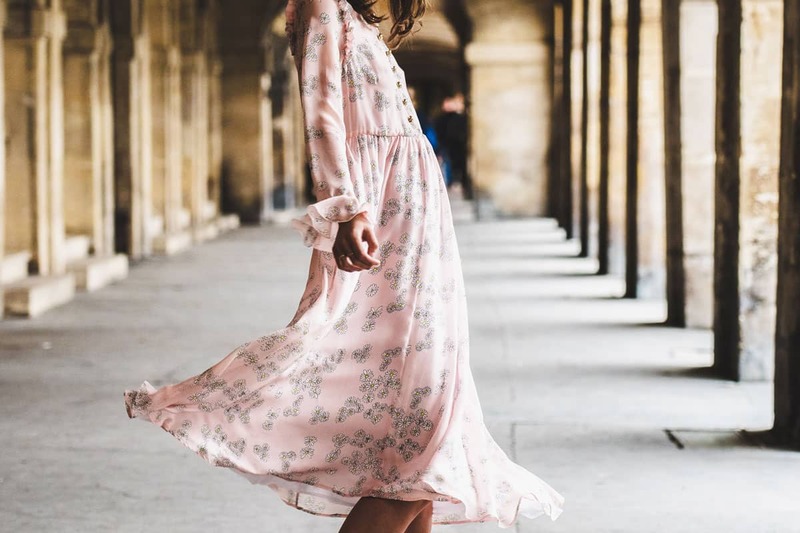 Portail de la Mode: comment adopter le style boho chic ?